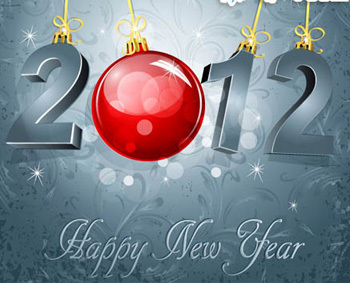 I can't believe that it's already the last day of 2011! This year sure has sped by pretty fast. It's hard to believe that I've managed to fulfil six whole months of prosperous blogging, too. At the beginning of the year, I had a completely different blog which covered more general things – life, sports, films – you name it. Needless to say it never got very many followers and so I forgot about posting. But a few months later, I had a brain wave; what about books? I'm studying English lit anyway, and blogging about them will give me even more incentive to read, maybe even improve my writing skills. Six months and 250+ followers on, my blog is still going strong. I never thought that I would stick to this for that long as I've been, ahem, known for giving up on things in the past quite easily. But I honestly think committing to this blog has helped my life in so many ways. During the times when I haven't been able to post as frequently due to university work and so forth, I've definitely felt deprived! This has turned into a healthy outlet for me to grow as a person. A great sign that I've finally stumbled onto something that can happily stay in my life for years to come! It's also been amazing to meet so many like-minded bloggers, authors, publishers and friends to share my time and passion for blogging and for books with. I hope 2012 is equally prosperous and lucky for all of us. Here's to another six months and beyond!